Depending on the type, material, warranty, and other features, a food dehydrator could cost from about $50 to $500. Below, this will be discussed in details, together with the topic of how much electricity it costs to use a food dehydrator at home. There are a lot of considerations when planning to buy a food dehydrator for the home. Not only does it will affect the family’s budget, but their lifestyle as well. However, some people may be asking what the fuss is all about. What are the benefits of having a food dehydrator at home? Why do people even have to consider buying it? For one, people can have their favorite seasonal fruits and vegetables all year long. Thanks to food dehydrators, strawberries, and mangoes, among others, can be consumed by the family any time of the year, by eating them dry or by rehydrating them to be included in the ingredients of certain dishes. Having food dehydrator at home also encourages healthier eating, especially snacking, since there are healthier options available at home should kids and adults crave for some finger food. Banana and potato chips can be made at home, as well as dried mangoes, pineapples, peaches, and even beef jerky. Because of these reasons, there are some people who are willing to pay for this wonderful kitchen equipment no matter how expensive. However, there are others who just want to have a simple food dehydrator that has basic features. The cost of a food dehydrator unit depends on the type of food dehydrator because it determines what kind of airflow it will have, and what kind of material to be used. Between a stackable type and a shelf type, the stackable type is usually cheaper because it uses the vertical airflow technology, it is made of plastic, and it is normally smaller. A stackable dehydrator has the heating part at the top or bottom. This requires the user to do manual shuffling of the trays to ensure even drying of the food in the dehydrator. On the other hand, the shelf type food dehydrator is more expensive because it uses horizontal air flow technology, as is usually made of metal. It is also bigger compared to stackable types. What makes this type better is how it evenly dries the food in all layers. Obviously, plastic food dehydrators are less costly than metal ones. Plastic has issues when it comes to durability. It is also not able to handle hotter temperatures, so it can only be used for dehydrating softer fruits and vegetables. On the other hand, food dehydrators that are made of metal ensure that they can be used for many years to come. They are also able to stand hotter and drier temperatures, so even meat can be processed and preserved using a metal food dehydrator. Just like any other gadget or appliance, the longer the warranty of a food dehydrator, the more it costs. How long you want your food dehydrator to be covered by the warranty should depend on product reviews on the durability of the product. Sometimes, it is a wise decision to get longer warranty periods. Not all food dehydrators are expandable. Most shelf type food dehydrators have fixed number of trays and rails. These are usually not expandable because their heating element is at the back. The height is fixed since the heating element cannot be adjusted. Normally, stackable food dehydrators are the ones that are expandable. A number of trays can be added to accommodate more fruits and vegetables to be dried during the peak season. 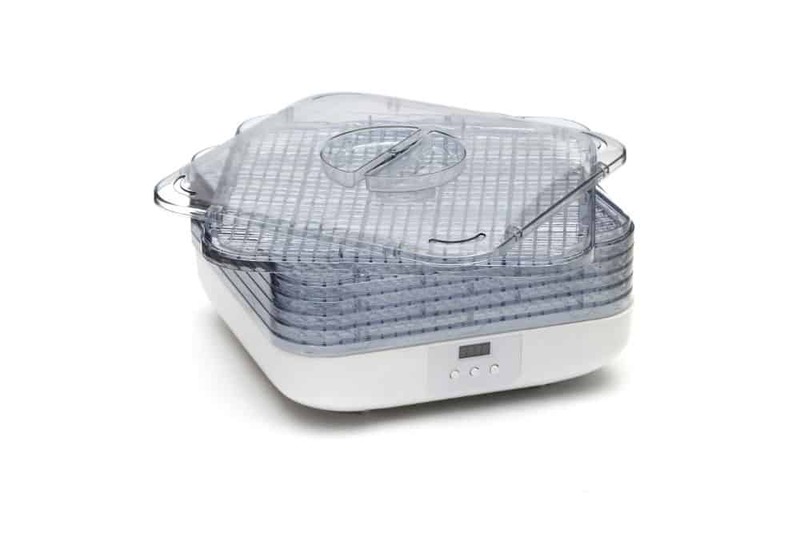 Nevertheless, the user must not forget that it does not emit too high heat, and the trays need to be rotated or shuffled to ensure even dehydration of the food inside. It is a misconception that all food dehydrators have a thermostat. This is not really the case. Basic food dehydrators do not have a thermostat, so heat cannot be adjusted. What the users adjust, in this case, is the length of time the food will stay inside the dehydrator. If someone plans to dry different sorts of food, it pays to have this additional feature. This will ensure that all food, regardless of the texture, will be dehydrated properly, eliminating the possibility of rotting and contamination. This is also an important added feature since dehydrating food takes hours. It is very easy to forget that food is left in the dehydrator to dry. With the auto shut-off feature, the user can simply set it to shut off once the food is done. This definitely takes one less worry off the back. Having a timer reminds the user when it’s time to check the food or when to rotate the trays if using the stackable type. This is a great addition to regular features as the user does not need to take note of the time manually. It is also a common misconception that it takes so much electricity to run a food dehydrator at home. A regular food dehydrator consumes about 800 watts, and food dehydration usually runs for only 12 to 18 hours. The price of electricity depends per state, but for someone who lives in California, a single cycle would only cost about a little over $1. Of course, having a food dehydrator, in essence, would cost more electricity than not having one. However, considering the fact that it minimizes food waste around the house, and makes delicious and healthy dried foods, having it is still cost-efficient than not having it. There are a lot of brands and models of dehydrators to choose from. Its price varies from $50 to $500. 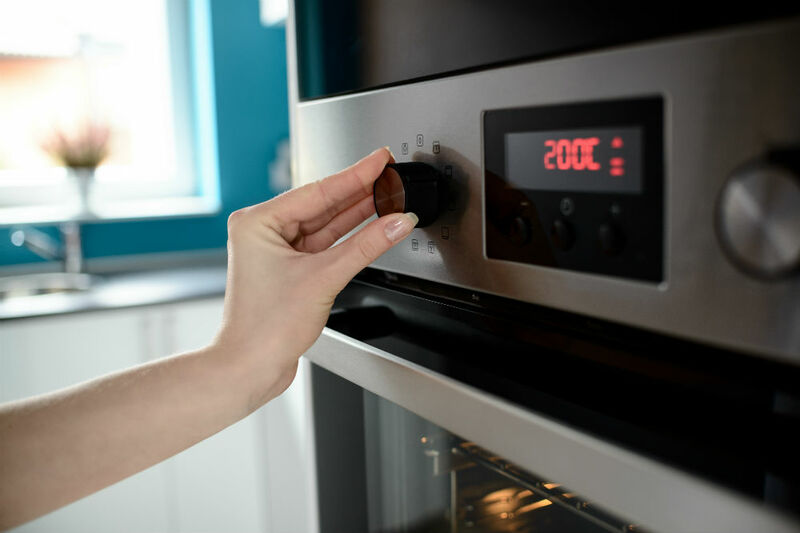 When it comes to pricing a food dehydrator model, the following are taken into consideration—type, material, warranty, and other features. Owning a food dehydrator is more cost-effective than not having one, no matter what the appliance calculator says. Also, the quality should be more important than the price. An expensive food dehydrator that can be used for many years to come, and that would make one’s life easier, is better than choosing less expensive, but less durable food dehydrator.